C'est Chic Paris! brings the high-end fashion trends from Paris right to you! Owner Jane Okada came up with the idea for C'est Chic during her extensive travels to Paris and decided to bring a unique collection of handbags and accessories back to the states for everyone to enjoy! At C'est Chic Paris, we want you to feel comfortable being yourself, and our colors, styles, and looks help you do just that. Want to add a little something to your casual Saturday night out look? We have a bag for any outfit you can imagine. Find casual everyday bags in our online store that allow you to feel more confident in your style, or even find flashy handbags that enhance your look for a special event. Enjoy our free shipping for customers with any order you place. Feel free to reinvent yourself during your shopping session! A simple bag can make all the difference in your confidence. Find out for yourself today! Whether you are drawn to neutral toned purses or a handbag that is adorned in a unique animal print or eye-catching color, our beautiful collection of designer bags is sure to exceed your expectations. We have an extensive variety of colors that work well with any style from casual to formal. Find the bag that fits your personality and makes your day a little brighter. Explore our store and see all of our unique handbags. There's an option for everyone at C'est Chic Paris. 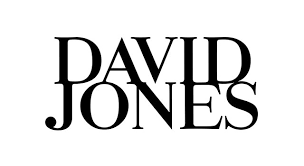 With brands such as Frederic T and David Jones, your day will feel fresh and full of confidence. We've got all the looks you need. You can also enjoy our online store and free shipping. If you have any questions, please do not hesitate to give us a call!